Which employability initiative would you like? 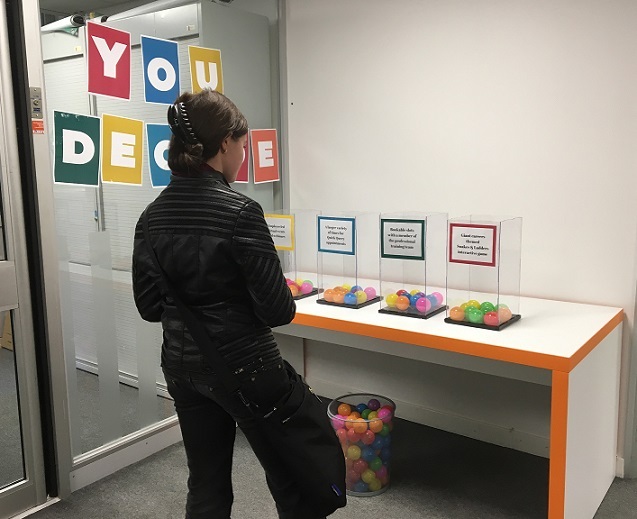 You may have noticed the foyer of the Employability and Careers Centre has a new interactive feature! We have four great ideas that we would love to put into place. Now it is time for you to choose which one goes ahead. The votes will be counted at the end of semester one, and the initiative will be put into place in semester two. Voting is easy! You simply take a ball and place it into your chosen container. If you want to throw, head or slam dunk it in, that is also acceptable. Remember ‘One vote each’. Any Surrey student. 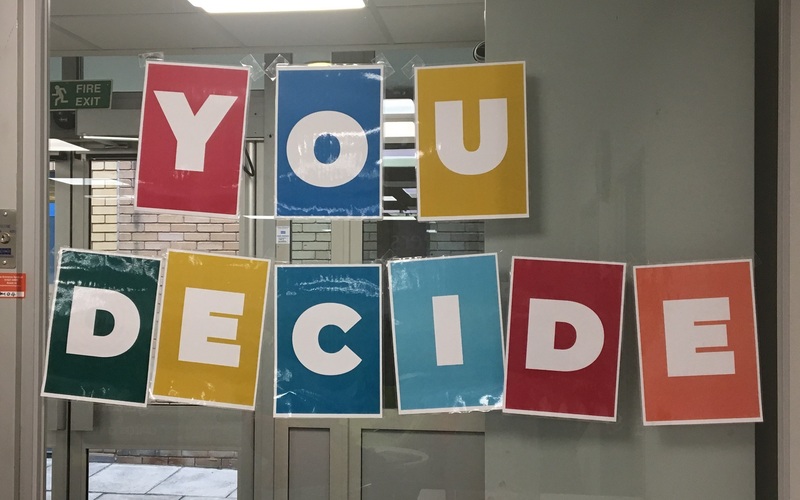 You don’t have to have used the Employability & Careers Centre before, please just drop in to see us in the Philip Marchant building and cast your vote. While you are here, chat to our student engagement team who can tell you more about the service. The winner will be announced at the end of Semester One. We can’t wait to see which one you decide on.